In addition to our custom and in-house designs, Goldsmiths Gallery features the wedding jewelry of several other noteworthy jewelry companies. Each one of these companies has compelling designs and impeccable craftsmanship. To learn more about a company or to browse its full catalog, click the company's name to visit its website. Photo courtesy of Leo Ingwer, Inc.
As a young man newly arrived in the United States in the 1930s, Leo Ingwer’s first job was shoveling snow off the Williamsburg Bridge in New York City. By 1939, Mr. Ingwer had established Leo Ingwer, Inc., buying and selling precious metals and eventually designing and fabricating fine jewelry. Over seventy-five years later, the third generation of Ingwers operates the company, continuing the family tradition of beautiful designs impeccably rendered. Sholdt Design was established in 1935 in Seattle, WA, when Milton H. Sholdt purchased a fledgling jewelry repair business. For over eighty years, Sholdt Design has been a family-owned and -operated business, with Kalee, a fourth-generation Sholdt and Milton’s great-granddaughter, taking over ownership in 2014. Sholdt Design takes inspiration from neighborhoods, towns, and natural landmarks all around Seattle, which is apparent in each one of its clean, elegant designs. Photo courtesy of Whitehouse Bros.
Whitehouse Brothers was founded in 1898 by Joseph C. and William H. Whitehouse in Cincinnati, OH. The brothers established themselves as fine designers and craftsmen, and their company quickly grew in both size and reputation. By the early 1920s, Whitehouse Bros. was the largest jewelry manufacturer in America, with over 100 craftsmen in its employ. 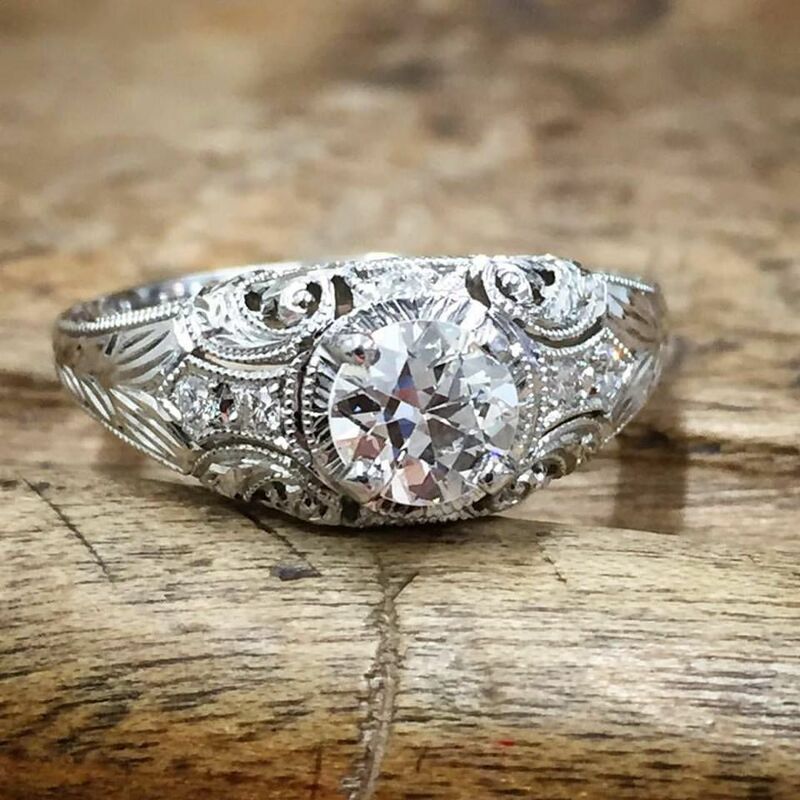 Today, Whitehouse Bros. is still a highly respected jewelry manufacturer, and is known for using the same designs and dies they first utilized over 100 years ago. Every piece is made in America with recycled metal and responsibly sourced diamonds. Photo courtesy of Guertin Bros.
Guertin Brothers was established in 1958 by two bothers, Valmore and Emile Guertin, in Hyannis, MA. Valmore, needing a Mother’s Day gift, came up with the first design of a Mother’s Ring: two bands, representing the couple, are set with birthstones of the couple’s children. This concept proved immensely popular, and the two brothers were able to grow their business and began designing wedding jewelry as well. Though Valmore and Emile retired in 1969, the Guertin Bros. name has lived on as a source of Mother’s Rings and wedding bands to thousands of jewelers across the country..